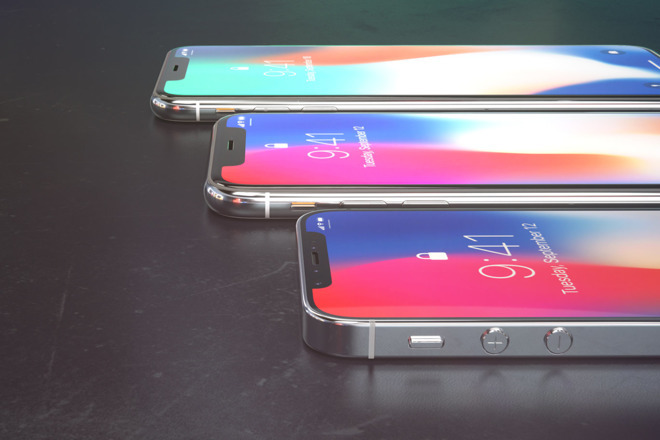 Though a next-generation iPhone SE isn't expected to get the OLED edge-to-edge treatment, that hasn't stopped German magazine Curved from imagining what it —along with a Plus-sized iPhone X rumored to arrive in late 2018 —might look like. The new mockups come on the heels of a report from analyst Ming-Chi Kuo of KGI Securities, who said last week that Apple has a 6.5-inch iPhone X in the works for next year. Like the iPhone X packed an edge-to-edge display into Apple's midsize phone, the so-called "iPhone X Plus" is rumored to have the same general form factor as an iPhone Plus, but with a larger display and no home button. Given those expectations, the "iPhone X Plus" concept is pretty much what you would expect —a jumbo-sized iPhone X. The publication threw in an "iPhone SE 2" for good measure, but the concepts shown in that device seem less likely to become a reality. For one, the handset is shown with the same sharp edges as the current iPhone SE, as well as retaining a metal back that would not allow for wireless charging. 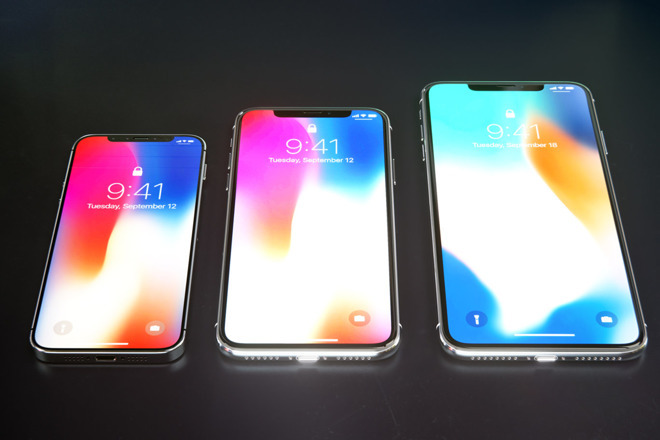 On the front, the "iPhone SE 2" is shown with the same edge-to-edge display as the iPhone X and "iPhone X Plus," complete with Face ID TrueDepth camera notch. To be clear, while there have been occasional rumors of a second-generation iPhone SE potentially launching in the spring of 2018, it's expected that the handset will maintain its position as Apple's budget-focused, entry-level model. Given the costs associated with OLED displays and the TrueDepth camera, which have resulted in $999-and-up pricing on the iPhone X, it's not expected that those features would be coming to the iPhone SE so soon, if ever.